We bring you this week's Table Top episode hosted by Star Trek's Wil Wheaton on Felicia Day's YouTube Channel Geek and Sundry. 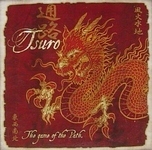 This week three games are featured: Tsuro, Zombie Dice, and GetBit! Wil's guests are Rod Roddenberry, Ryan Higa, and Freddie Wong. The interaction among these guys is funny and entertaining. So, watch and see who has unbelievable luck or "magic" as Wil calls it. 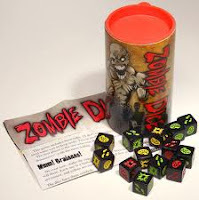 You can find Tsuro and Zombie Dice and Zombie Dice 2 available on our store shelves. Continue to follow us on Facebook and/or here on our website where we'll bring you the latest Table Top episode.